My large male festivum and small rainbow cichlid are protecting a nest. At first I thought he was ill from the odd behavior. I just checked and they are hovering over a clutch in a low back corner together. They are the only two cichlids in this 29G so I guess I might of created a problem. Is this common with such an odd pairing and should I expect the fry to be viable? I doubt the fry are viable from a breeding perspective. I'd love to see a photo in 2-3 months just to check them out. Do the hobby a big favor, don't or give away any of these fry. I'd be interested in seeing some photos of any fry that may survive, just for curiousity. As mentioned, dont give away/sell the fry and dont re breed. Apparently they must of ate the eggs because they disappeared. I took the opportunity to separate the two. Aww dang it, well at least there is not a chance of them falling into the hands of a greedy person who would sell them to make a quick buck. I would have liked to see the fry, but I'm happy that nature took care of this for you. I have heard of folks pulling hybreds out of feeders and if one unethical person gets their hands on them they are all over the hobby. I commend you for spliting the pair up. I need to get a female rainbow for my male. 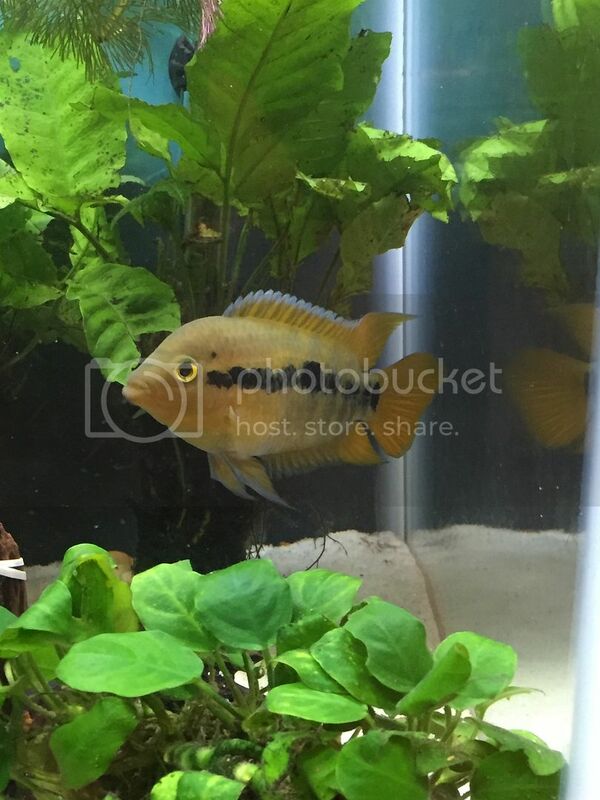 Bolivian rams, blue acara, mating kribs, green and gold severums, firemouth, festivum, killifish, salvini,etc,..